We do not have to look far for safe and effective skin care solutions. Manuka honey has been used by people centuries ago for medicinal purposes. It has also been used for skin care purposes. If wedding planning is stressing you out, and you are prone to breakouts, then Manuka honey may be good for you to use. Manuka honey has the ability to absorb impurities from the pores in the skin, making it an ideal cleansing agent. It is especially effective in fading red marks and killing bacteria. The cause of acne infection is a bacteria called Propionibacterium acnes. The pores or follicles in the skin become blocked, preventing the sebum from escaping to the surface and the acne bacteria infects the trapped sebum. This leads to an increase in white blood cells in the localized area of the follicle blockage resulting in inflammation, redness and pain. With regard to acne, Manuka honey is effective in a number of ways. 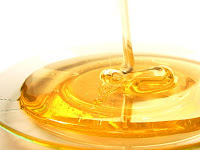 Manuka honey penetrates the epidermis of the acne infection far better than synthetic medications. Once at the seat of the acne infection, it quickly controls the acne bacteria. The presence of Manuka honey also helps to break up and release the blockage of individual follicles leading to the cause of acne. Manuka honey's anti-inflammatory action helps to eliminate any pain present. Read on to find out more benefits to using Manuka honey in your pre-bridal skin care regime. Don't you just hate it when you get dry skin and the moisturizer you use is not compatible to your skin type? Perhaps you haven't heard before but over the years, people use honey as moisturizer and it has proven to be one of the most effective for all types of skins. Since time immemorial, honey has been widely known to be used as a food ingredient as well as for medical treatment. As a matter of fact, ancient people had used honey not only in their drinks as sweeteners, but even as embalming component for their dead pharaohs. Honey is an animal by-product, both complex and natural and is produced by bees through the nectar that came from different flowers which are then processed to serve different purposes. Many of us may not be aware, but the truth is that honey as moisturizer has been used for ages and not just as an ingredient for our food or even in our medical remedies. Many people have doubted if honey could really be as effective as people say it is to use on our skin. However, scientific studies have shown and proven that the micro-nutrients found in this natural sweet delicacy have the most beneficial effects that helps us maintain or transform our skin to its natural healthy glow. Honey is mostly composed of a combination of fructose and glucose which are components generally needed in the regeneration of cells. Subsequently, these ingredients help nurture our skin making honey as moisturizer the best non-artificial product to pamper our skin with. This natural product has been used throughout the years as an effective healing agent, specially combined with other biological and organic products. Moreover, recent tests have proven that it is also a natural anti-bacterial and anti-oxidant agent because of the abundance in vitamins and minerals in its composition. There is a particular type of honey known for having the highest percentage of essential elements that helps rejuvenate the skin. This kind of honey is produced by bees that feed on a plant called Manuka; which is where this type of honey was named after. Huge amounts of anti-oxidants and other minerals and vitamins have been found in Manuka honey. These natural compounds fight the free radicals that cause our bodies to decay and age. Manuka honey as moisturizer is an effective anti-oxidant agent that helps you fight off the signs of premature aging as well as skin chaffing because it serves as rejuvenating product for your skin. Without the free radicals, your skin becomes healthier and produces an after-glow that surely lights up your countenance and makes you look younger than your actual age. So do yourself a favor and get your hands into one of the most advantageous natural agent there is today. Why be bothered by dry and aging skin, when you can have a smooth and glowing skin without worrying of harmful side-effects by using artificial skin products; just by using honey as moisturizer. Visit Kalpana's website, http://www.naturalbeautyandskincare.com today and find the perfect product using Honey as Moisturizer for any skin type. Say hello to a New and Younger You by choosing this perfect All-Natural Skin Moisturizing agent. There is nothing better than including natural homemade skin care solutions to your daily pre-bridal skin care regime. Think about it - if you are using a product daily, would you not want it to contain wholesome and natural ingredients that does not irritate your skin. Natural skin care is safe and effective enough to incorporate into your skin care regime. Brides who are getting married soon, please read the following article that gives you great tips on how to care for your skin the natural way. It is fine if you have a cosmetic or dermatologist appointment prior to your wedding date. But even such cosmetic procedures cannot possibly enhance your skin suddenly, the way using natural products can over time. The key is to begin NOW. Include these natural pre-bridal skin care tips into your daily skin care regime today. Have you read about this recently? All natural skin care has become all the rage these days. How can you start with it and have a fresh young skin? Let's find out. All natural skin care is pretty simple at its core. You need to avoid chemical and artificial substances from coming in contact with your skin. Use only natural substances and natural ways to enhance the health of your skin. To begin with, make sure to eat lots of fresh fruits and vegetables. A healthy, balanced diet will ensure your skin gets all the nutrients it needs to keep healthy and damage free. Drinking plenty of water will cleanse your body of all toxins and keep your skin well moisturized. Take care to shield your skin from harsh weather conditions too. Apply a good sunscreen with a minimum SPF of 15 when going out in the sun. A scarf and hat will protect your skin from strong winds and the dust and grime they carry. Once all this is in place, the next step is to start using natural substances like honey, milk and natural oils in your skin care regimen. Now, you can find many such substances easily in your kitchen, fact is the really effective ones are not resent in the average kitchen. There are some amazingly effective natural substances that are derived from natural sources through complex processes and then packaged together in specific proportions. This requires considerable resources and expertise and you would be hard pressed to do it by yourself. This is why it's a smart move to use all natural skin care creams containing effective ingredients. Since such creams are devoid of chemicals, they are absolutely safe to use and are very effective at rejuvenating your skin too. Look for natural substances like Phytessence Wakame in your cream. This Japanese sea kelp nourishes the skin with vitamin B complex and minerals like calcium, iron and potassium and keeps it healthy. It also protects the skin from the harmful effects of the UV rays of the sun and the free radicals found in environmental pollution. An all natural skin care program would be incomplete without having Active Manuka Honey in it. This honey enhances the Collagen and Elastin production in the skin. These two proteins are necessary for having a firm, smooth and wrinkle free skin. This oil also has anti bacterial properties that keep the skin safe from bacterial infections. Grapeseed Oil is another natural oil that is very beneficial for the skin. It forms a thin invisible layer on the skin to keep the moisture in. It is especially effective for healing the skin around the eyes and removing stretch marks from the skin. So there you have it. All natural skin care need not be complicated. Just take some basic precautions and use the right natural ingredients - that's it! For more information about these ingredients, visit my website listed below. Frank Langella is a dedicated researcher of skin care health and products. He shares his research on his website - Total Skin Solution. If you want to know how to turn back the clock for your skin, visit - http://www.totalskinsolution.com and learn about the skin care line our editors personally use and recommend. For brides wanting to look fantastic on their wedding day, cosmetic surgery may be taking it a step too far. But have you considered having a chemical peel done before your wedding? Chemical peels are not invasive and can be tailored (via acidity of the peel done) to your needs. The peels range from lighter ones where the skin will not physically peel to a TCA (Trichloroacetic acid) which is a medical peel. This is carried out by a doctor and nurse and the skin will peel 4-7 days after the treatment. If you choose to have a TCA peel you may only need 1-3 treatments per year. During application of the TCA your skin will feel a hot burning sensation over the face which will pass. There are normally 3 applications of the TCA to complete the treatment. Chemical peels will not only improve the colour, freshness and texture of your face, but will also help to improve skin tone and reduce visibility of fine wrinkles and superficial discolouration, such as age spots. The risks of a chemical peel are minimal but some people can be allergic and therefore a patch test is carried out before any peel. There is a risk of hyper pigmentation, hypo pigmentation, and reddening if you pick or try to peel the flaky skin before it is ready to shed, so patient compliance is essential. Initially after a lighter peel your skin will feel fresh and tingly. After a TCA your face will feel swollen, tight and look pink and your skin will start to peel within 4-7 days. You must not pick at the skin as this could cause pigmentation and redness. The desired results will be apparent after 14 days. To see if a TCA chemical peel is right for you, please read on. To first understand the TCA peel and how it defers from other skin peels we must first discuss what a chemical peel is. What really is a chemical peel? A chemical peel is a controlled caustic solution applied to the skin which will result in the breaking of cellular bonds in the top layers of the skin. This will result in peeling and new skin underneath being uncovered. This will give the skin a fresh, rejuvenated look. Some skin peels are more superficial than others. A glycolic or lactic or fruit peel tend to be very light or weak and are considered to be more superficial. Light peels tend to have minor results that are not long lasting. Medium to deep peels like the TCA peel, Obagi Blue Peel and Phenol peel can go much deeper and produce astounding results. The Phenol peel is rarely used anymore due to its toxicity. The Obagi Blue Peel is just a brand name TCA peel and is a cream mixture with a blue green dye in it that dyes the face to indicate where it has and has not been applied. The Obagi Blue Peel still requires the addition of TCA from a TCA peel to make it active. TCA peels have been found effective and approved by the FDA for treatment of various skin disorders like skin pigmentation problems, wrinkles, fine lines and crows feet around the eyes and even all ranges of acne. Yes, TCA peels have been found to be one of the most effective skin care treatments currently available and are now available for in home use. TCA peels used to be only an in office treatment offered by doctors, dermatologists and plastic surgeons at $500 - $20-00 per application. It was a beauty or skin care treatment for the rich. Now, TCA peels can be purchased at a great savings for in home use. TCA peels have quickly become one of the most sought after treatments known to the plastic surgery and makeover community. Its no wonder as they can actually cure bad and mild cases of acne, reverse the aging process by turning back the clock and making skin look 10 or more years younger, and remove skin problems like bad pigmentation spots, pre cancerous legions and even treat cancerous areas. The TCA peel is one of the most effective and widely applicable skin care treatments available either in office of for home use and should be made a staple of any skin care regimen. David Maillie is a chemist with over 12 years experience in biochemical research and clynical analysis. For more information on the Obagi Blue Peel, TCA peel for in home use and great anti-aging products and ideas please visit TCA peel for in home use. For brides wanting to look fantastic on their wedding day, cosmetic surgery may be taking it a step too far. But have you considered having a chemical peel done before your wedding? Chemical peels are not invasive and can be tailored (via acidity of the peel done) to your needs. The peels range from lighter ones where the skin will not physically peel to a TCA (Trichloroacetic acid) which is a medical peel. This is carried out by a nurse and the skin will peel 4-7 days after the treatment. Why do a chemical peel? Well, a chemical peel will improve the appearance of fine lines and help treat uneven pigmentation and acne. There should be no discomfort following a lighter peel. Results can be dramatic and you will see increased skin vitality with a reduction of fine wrinkles, although after a TCA peel patients take up to 14 days to see the full effect. Treatments take place once every two weeks for a recommended six treatments, to achieve maximum effect. Your skin will be prepared prior to your treatment. During application of the chosen AHA or BHA to your skin, you may feel a tingling or itching sensation. After your peel, a post-peel treatment is applied. Chemical face peels can be used either at home or in a salon by a professional beautician. Glycolic acid chemical peels and salicylic acid peels are both excellent for giving you a refreshed, healthy looking skin and to reduce lines and wrinkles as well as to help reduce redness caused by acne. How Do Chemical Face Peels Work? Chemical peels work by burning off the top layer of the skin which will then flake off over the next few days leaving behind new, healthy looking skin. The top layer of skin is naturally shed over time but as we get older the rate slows down and skin can take on a dull appearance. A chemical peel speeds up this natural process. Peels that can be done at home are mild and do not reach the deeper levels of the skin so do not cause damage. Glycolic acid is a very small molecule that can penetrate the outer layer of the skin. It then breaks the bonds chemically that hold dead skin cells onto the epidermis so that they can be easily removed. To give a deeper exfoliation they are sometimes used in combination with a microdermabrasion process which physically removes the dead cells. Glycolic acid peels are mild enough to be used at home provided you follow the instructions carefully. However if this is the first time you're using a chemical peel it may be a good idea to have one done professionally so that you know what to expect. They can help reduce the damage done by the sun and also help to prevent acne flareups if used regularly. They can also reduce the appearance of age spots and fine lines and wrinkles. As well as being used on the face they can also be used on other areas of the body. It is safe to use these types of peels at home provided you use one of the low concentration products sold for this purpose. There are some that are labeled as suitable for use at home with concentrations as high as 30% and we would not recommend these. It's also important to buy a brand that you are familiar with as unlabeled products can have widely different concentration levels. Although salicylic acid chemical fields are fairly mild and do not cause side effects in most people they are best done by a professional rather than at home because salicylic acid can be toxic if inhaled. Salicylic acid is similar to the more familiar chemical known as aspirin and shares some of its properties. It has anti-inflammatory effects that can help to reduce any inflammation and irritation after the use of the peel. Concentrations used are usually between 20% and 30%. Unlike glycolic acid, salicylic acid is fat soluble so is particularly useful for people with oily skin such as those who suffer from acne. It can penetrate deep into the pores and thoroughly clean out any accumulated dust, dirt or sebum. For people with very sensitive skin, salicylic acid chemical peels are a better choice as they are less likely to cause irritation. What Should You Expect During a Chemical Peel? Before applying a chemical peel solution your skin will be thoroughly cleaned and then the acid solution left on for around 15 minutes. During this time the skin should be carefully monitored to ensure that no irritation is occurring. It will then be washed off and either cold compresses or mild lotion applied. After the procedure you may experience some redness of the skin which should clear up in about a day at the most. During the next few days the skin will flake as the top layer of dead cells sloughs off. You should always use a sunscreen after a chemical peel as your skin will be more sensitive to the sun which could result in irritation, redness or other side effects. It is also best to avoid cigarette smoke for the same reasons. Most salicylic acid and glycolic acid chemical peels are safe to use although only glycolic acid peels are recommended for use at home. You should always follow instructions either on the product itself or from the salon where you have the treatment to ensure you do not suffer from unwanted side effects. More information on TCA chemical peels here. Botox has become well-known over the last decade. It is used by women wanting to achieve smoothened facial skin as a cosmetic procedure. When administered by a professional dermatologist, the botox helps smooth out fine wrinkles and has the effect of making a person look younger and more radiant. Considering that there are many women who are getting married at later ages, due to educational and career pursuits, botox has gained popularity as part and parcel of pre-bridal make-overs. Brides attend Botox spas prior to their weddings. This is not something totally revolutionary, nor anything to be embarrassed about. Brides even plan on having botox bridal showers with their bridesmaids - even bridesmaids get injected with Botox! Read on to find out why you might wanto to consider a Botox cosmetic procedure prior to your wedding day. Although the product is well known for its toxicity, the purest form of Botox is employed for enhancing the beauty. The product when utilized with the utmost care can give a complete makeover to your face - this is being proven by the testimonials of countless people who are enjoying the same for many years. The skin is always in the process of declining itself, in other words, aging process is inherently pre-programmed into the cells. It has been found that with the aid of Botox, the aging procedure can be shunned to a great extent. Botox is normally administered on the surface of the skin using suitable injecting mechanisms. Botox functions in the following manner - the normal functions of the facial skin cells will be shunned for approximately three to four months. This works out to be feasible for people who are in their 40s - by injecting Botox to their facial skin; they are literally controlling the aging process of the skin. This is not science fiction - it is being practiced in many beauty spas, and it is even preferred by plastic/cosmetic surgeons to give a visual uplift to the face. How does someone display the signs of aging? We normally conclude the aging process by outlining the wrinkles that are present in the face. With the help of regular, well-times Botox injections one will be able to inhibit the display of wrinkles in the face. How does that sound? Botox, when employed for beautification procedures includes many inherent functions. Some of these are controlling the sweat glands, filling up the existing wrinkles and smoothening the facial skin surface. Various glands that are present on the skin surface induce sweat and oiliness in the face. A change in the inherent complexion is thus derived because of the presence of the sweat and the oiliness. The need to clean the face at regular intervals, to combat this condition is virtually eliminated - thanks to the Botox injections. Botox is known to act deep into the muscles and control the normal functioning of the muscles. The affectivity can be noted within weeks (sometimes even within days). Varied school of thoughts exists in the paradigm - numerous cases of fatalities have been noted all over the country. The lethal nature that is inherently present within the Botox must never be ignored at any cost. There is a marked improvement in the complexion when one subjects themselves to Botox injections. Pigmentation is the usual side effect seen on people who spend time outdoors. The reasoning that works in the background is the same - the skin is being damaged at the cellular level. Botox can largely negate this development by acting in favor of the cells - a state of dormancy is induced into these cells. The result is the absence of pigmentation and skin darkening. The rising pollution levels are also of deep concern to many people who value their facial complexion - it seems that Botox is the only way out! Have a wedding coming up? Are you prone to getting pimples and blemishes when you are stressed out? Well, wedding planning tends to bring out all kinds of stress that you can imagine whether you anticipate the problems or not. No bride wants to deal with acne just days before her wedding. This article focuses on anti-acne skin care solutions for brides. The key is to be consistent with your skin care regime so that stress will not cause unexpected break-outs. In addition to the anti-acne tips provided in the article below, natural homemade anti-acne skin care solutions are also safe and effective enough to incorporate into your skin care regime. For instance, yogurt is a very effective yet gentle acidic facial peel that is safe for acne-prone skin. Apply directly from the pot and leave for 5-10 minutes, then rinse off. This helps reduce oil production on the skin that causes pimples. For oily skin, add a couple drops of lemon or lime juice. For dry skin, mix in a couple tablespoons of honey. Mix the ingredients together. Apply to the skin for 10-15 minutes. Wash off mask with a washcloth steamed in the microwave (careful that it's not too hot). People who suffer from skin problems or are facing the threat of growing old and getting wrinkles should know that there are actually products that can help solve these problems. Many skin care products are now available in the market to help people with acne problems and bothersome creases on the side of their eyes or mouth. These products are designed to treat skin problems, wrinkles and acne, and some of them are being advertised as multi-purpose skin care products. If you are looking for an anti acne anti aging skin care treatment or an anti acne anti aging skin care program that can help with your skin problems, you may have to consult a doctor. Since aging skin and acne are considered different kinds of skin problems, you may need to check with an expert to help you determine whether or not the anti acne anti aging skin care product or program you are considering to use is indeed worth a try. Multi purpose products are widely available all over the internet and in local drug stores. Because there are so many advertisements that are being made to promote them, you may be easily swayed by the claims that are made about these products. Whatever these products claim to be able to do, you should learn to read between the lines and see the word "may", which is a common occurrence in most statements made about such products. This means that they may or they may not have that effect you expect them to give you. And if you are paying more for such products because of the multi purpose claim, then you may need to be more careful about choosing your treatments. One sure way to get the right kind of treatment you need for your skin, whether it is for anti aging or for acne, is to consult a doctor who specializes in skin treatments. While there may be one or a few products that are effective for both skin problems, nothing can be compared to the professional care of a licensed skin doctor who knows the exact reasons for your acne breakouts or the degree of skin problems you are experiencing. A skin doctor can also give you the right kind of medication for any of these skin problems or he can recommend you a multi purpose treatment that will solve both problems simultaneously. The privacy of our visitors to BridalSkinCare.Blogspot.Com is important to us. We recognize that the privacy of your personal information is important. The following contains information on what types of personal information this site may receive and collect when you use visit BridalSkinCare.Blogspot.Com , and how this site safeguards your information.Log FilesAs with most other websites, this site collects and uses the data contained in log files. The information in the log files includes your IP (internet protocol) address, your ISP (internet service provider, such as AOL or Shaw Cable), the browser you used to visit our site (such as Internet Explorer or Firefox), the time you visited our site and which pages you visited throughout our site. Cookies are used to store information, such as your personal preferences when you visit our site. This could include only showing you a pop-up once in your visit, or the ability to login to some features, such as forums.This site also use third party sponsored advertisements. Some of these advertisers may use technology such as cookies and web beacons when they advertise on our site, which will also send these advertisers (such as Google through the Google AdSense program) information including your IP address, your ISP , the browser you used to visit our site, and in some cases, whether you have Flash installed. This is generally used for geotargeting purposes (showing New York real estate ads to someone in New York, for example) or showing certain ads based on specific sites visited (such as showing cooking ads to someone who frequents cooking sites).